If you're looking for an easy, feel-good movie on a Friday night, this movie is for you. It's a musical romantic-comedy set during the Vietnam war. Dave Lovelace (played by one of my favourite actors ever Chris O'Dowd) and four super-talented Aborigine girls; Gail (Deborah Mailman), Kay (Shari Sebens), Cynthia (Miranda Tapsell) and Julie (Jessica Mauboy) tour around Vietnam singing for the US troops. The girls originally sing Country music, and Lovelace has to convince them that Soul music would be better suited to their... skin tone. It's quite a blunt suggestion, but one that I certainly feel would have been pressed upon any man or woman of colour wanting to succeed in music during that time (in fact, not that much has changed even now). Unfortunately Lovelace is right, and they ace the audition singing Motown. 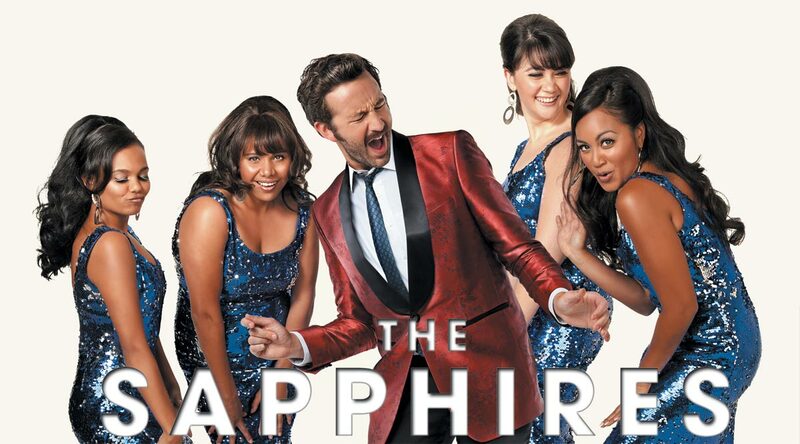 The Sapphires are then promptly recruited as entertainment for the US soldiers and are catapulted out of their small town and out in to a war zone. Be aware that this film is certainly not an original one, but it is easy to forgive it its trespasses because there is enough sass, jokes, sarcasm and joy to make you forget that you've seen this type of movie before. The story has its ups and downs, and gives a sensitive focus to the much marginalised Aboriginal community. The film not only discusses race, but also dips in to the way the Australian government, quite literally, used to go in to Aborigine villages and steal their children. The children would end up adopted by white families. This piece of history is explored very well indeed, and the implications are exposed very gently to the audience without preaching. The film is loosely based upon a true story, and you're shown a photograph of the four ladies now as older women. The film has had terrific reviews over on Rotten Tomatoes, but has not done so well on IMDB (no surprise right? lol). I really recommend this movie. It was refreshing! Get hold of it, invite your friends round, and enjoy something light and charming! Oh, and please, once you watch it, let me know what you thought! I'd love to know! !